Though country vocalist Rodney Atkins didn’t get his first guitar until one Christmas in high school, he took to the instrument instantly and was soon playing anywhere he could around his Cumberland Gap, TN, home. while at college at Tennessee Tech in Cookeville, Atkins used the opportunity to go into Nashville as frequently as he could, and by the time he graduated he was starting to make himself known as a performer in the area. In 1997, he signed to Curb Records and was set to release his debut shortly after, but when he didn’t like the finished results and label head Mike Curb gave him the go-ahead to album new songs, Atkins spent the next two years working with various producers, engineers, and musicians for an record that would ultimately never see the light of day. He resurfaced, however, in 2003 with his true debut, Honesty, and three years later If You’re Going Through Hell, recorded in his home studio, came out. It’s America arrived in 2009. Atkins set to perform during star-studded night of music benefiting W.O. Smith Music School on June 6th; full lineup to be announced soon! NASHVILLE, Tenn. – Six-time chart-topping country artist Rodney Atkins will host his seventh annual “Music City Gives Back” concert on Tuesday, June 6, unofficially kicking off a week of country music festivities in Nashville ahead of the CMT Music Awards and CMA Music Festival. The popular star-studded event, which benefits W.O. Smith Music School, will take place near 5th Avenue and Demonbreun Street in downtown Nashville and will include performances by Atkins and more artists to be announced in the coming days. “Nashville is a special place in the way that people in this community truly support one another and this is another great example of Nashville and the music industry coming together to support the kids and future of our community,” said Atkins. “As an artist, I’m blessed to be able to call Nashville home and grateful for the opportunity to give back through music with this event every year.” The concert is free and open to the public and performances will begin at 4:55 p.m. Select artists will also be available to sign autographs in the free, no-ticket-required sponsor activation area from 10:00 a.m. to 5:00 p.m., where guests can have a drink, get some food and meet their favorite artists. Carl Black Chevrolet, Wrangler and Ally are returning for the seventh year as presenting sponsors for Music City Gives Back. Carl Black Chevrolet will stream the performances and behind the scenes interviews live on both CarlBlackRadio.com and TuneIn Radio’s Country Roads, and Wrangler will stream live on WranglerNetwork.com. Returning media partners NASH FM 103.3 and 95.5 NASH ICON will also be on site to emcee the event and introduce the star-studded lineup. For continuing updates and artist announcements, follow Music City Gives Back at www.Facebook.com/MusicCityGivesBack, on Twitter @MusicCityGB and on Instagram @MusicCityGivesBack. 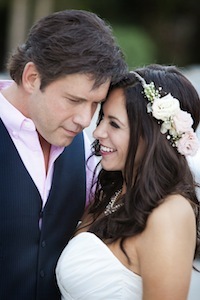 Rodney Atkins and Rose Falcon Marry! NRA Country Has Announced Rodney Atkins As Their May Artist Of The Month. Rodney Atkins has been selected as the NRA Country Artist of the Month for May. Atkins joins some of country music’s biggest artists including Craig Morgan, Justin Moore, Lee Brice, Montgomery Gentry, Sunny Sweeney, Trace Adkins and TV personality Storme Warren, who have teamed up with NRA Country to celebrate their support of our brave men and women in uniform, appreciation for the great outdoors and love of family. Rodney’s values and beliefs make him a natural fit with the NRA Country Artist of the Month promotion. “The NRA’s mission statement is about respect and honor. It’s about being proud of all the hardworking folks in our country and the men and women representing us, serving in the military. The NRA reminds us all to be grateful and not take our freedoms for granted. It’s an honor to say ‘I am NRA Country.’” -Atkins Atkins is a household name in country music having landed six No. 1 hits, including the most recent platinum-selling, chart-topper, “Take A Back Road.” He has celebrated over five million single sales in the past five years alone. His current album, Take A Back Road, features the title track and his current single, “He’s Mine.” As part of the May promotion, fans can register to win an autographed guitar. Click HERE from now through the end of May to register to win!